Anna was a daughter of Prince Dmitry Borisovich of Rostov and a great-granddaughter of Prince Vasily of Rostov. From her earliest years, Anna was brought up strictly Christian. She was taught the virtues of humility and obedience. 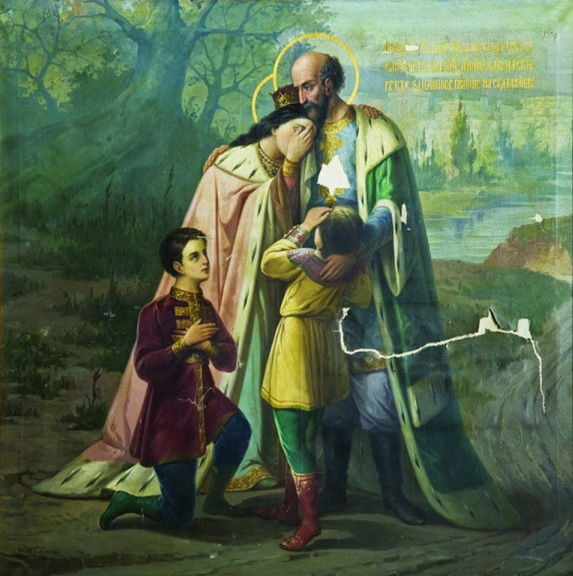 Her teacher was Saint Ignatius, Bishop of Rostov (died 1288), who was noted for strict selflessness and pacifism. Like all royal daughters of her time, Anna learned different kinds of needlework. When the princess grew up, Princess Xenia of Tver, second wife of Grand Prince Yaroslav of Tver sent ambassadors to Rostov with a request to marry Anna to her son Mikhail. The embassy was successful, and Anna became the wife of Prince Mikhail. Princess Anna's marriage to Prince Mikhail took place on 8 November 1294 in the Preobrazhensky cathedral of Tver. In celebration of this event, dwellers in the city of Kashin built the Saint Michael Church and the triumphal gates from the local Kremlin to the Tver road, naming the gates also "Mikhaylovsky." In the Kashin Uspensky Cathedral a special Feast was established and celebrated annually on 8 November. In 1294, her father died, and in 1295 a terrible fire destroyed Tver. Soon after that, Anna and Mikhail's first-born daughter, Feodora, fell severely ill and died in infancy. In 1296, another fire destroyed their palace, and the prince and princess were barely rescued. In 1317, a war began between her husband and Prince Yury of Moscow. In 1318 the princess said goodbye to her husband forever, who was summoned to the Horde, where he was brutally tortured to death on 22 November 1318. Only in July of the following year did Anna hear about her husband's martyrdom. 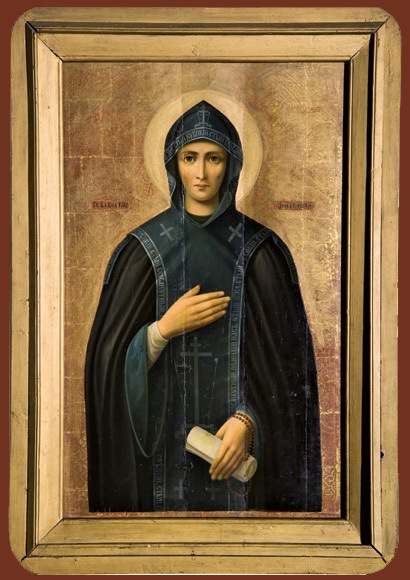 Learning that Mikhail's remains had been brought to Moscow, she sent an embassy there, and her husband's body was transferred into Tver and buried in Preobrazhensky Cathedral. In 1325, her eldest son, Dimitry, was tortured in the Horde. In 1327, her second son, Alexander, broke the Tartar army, which devastated the duchy. In revenge Uzbeg Khan gathered a new army and destroyed Tver; Prince Alexander was forced to hide in Pskov. For ten years, Anna did not see her son, and in 1339 Prince Alexander and his son Feodor were killed by the Horde. After the death of her husband, Anna withdrew into Sophia Monastery in Tver and accepted tonsure with the name Euphrosyne. In 1365 the youngest son of the princess, Vasily, her only child remaining alive by that time, entreated his mother to move to his principality. 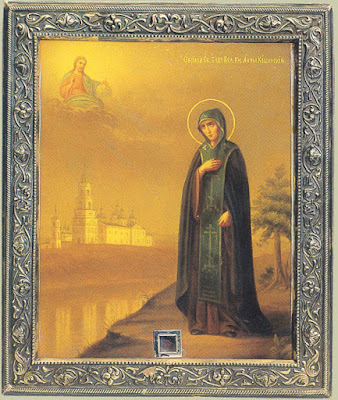 The Uspensky Monastery was built in Kashin, and there the Saint accepted the schema with the name of Anna. She fell asleep in the Lord on October 2, 1338. 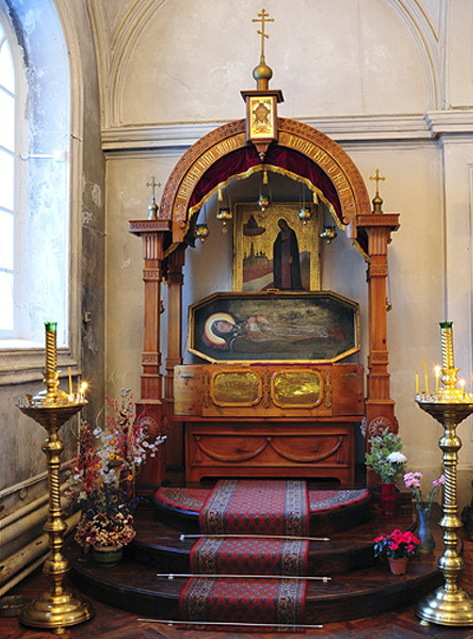 Miracles at Saint Anna’s grave began in 1611, during the siege of Kashin by Polish and Lithuanian forces. There was also a great fire in the city which died down without doing much damage. The Saint, dressed in the monastic schema, appeared to Gerasimus, a gravely ill warden of the Dormition Cathedral. She promised that he would recover, but complained, “People show no respect for my tomb. They ignore it and my memory! Do you not know that I am supplicating the Lord and His Mother to deliver the city from the foe, and that you be spared many hardships and evils?” She ordered him to tell the clergy to look after her tomb, and to light a candle there before the icon of Christ Not-Made-By-Hands. At the Council of 1649 it was decided to uncover her relics for general veneration and to glorify the holy Princess Anna as a saint. But in 1677 Patriarch Joachim proposed to the Moscow Council that her veneration throughout Russia should be discontinued because of the Old Believers Schism, which made use of the name of Saint Anna of Kashin for its own purposes; when she was buried her hand had been positioned to make the sign of the Cross with two fingers, rather than three, just as the Old Believers. However, the memory of Saint Anna, who had received a crown of glory from Christ, could not be erased by decree. People continued to love and venerate her, and many miracles took place at her tomb. 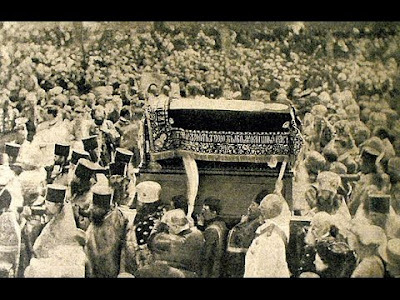 On June 12, 1909 her second glorification took place, and her universally observed feast day was established. That year a monastic community was dedicated to her in Grozny. A year later, a church was consecrated in her name in St Petersburg. Her Life describes her as a model of spiritual beauty and chastity, and an example to future generations.